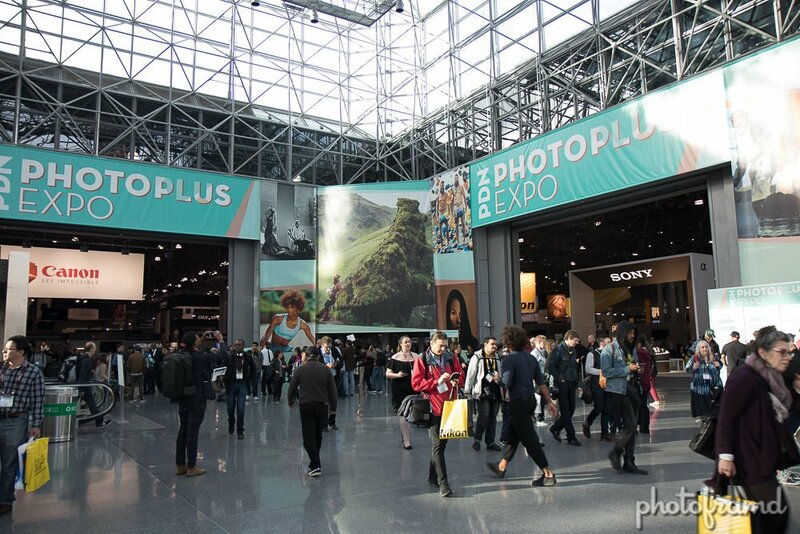 Photoplus Expo 2017 was held this week at Jacob Javits Center In New York City, and it continues the trend to shrink. I was there for under 2 hours and walked the entire floor twice. It’s a shame. Ricoh Theta V – after wasting money last year on Nikon’s Keymisson 360, I lost interest in 360 video. Apparently, Nikon knows this is a dud; Nikon did not even have the 360 on display. I remember seeing the Ricoh Theta last year, but chose the Nikon because it was 4K. 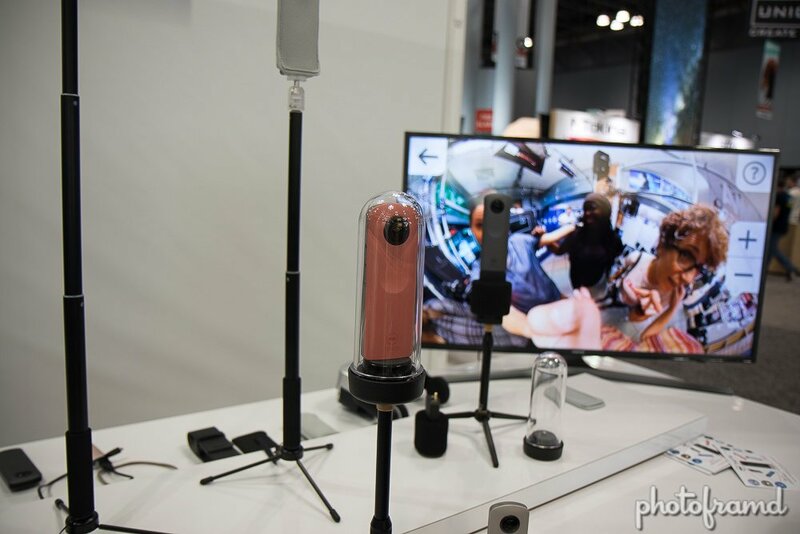 Well, the new Ricoh Theta V is now 4K and it’s very impressive. The image quality of great and it is so small, it is very easy to carry in your pocket. It even records 3D spatial audio. 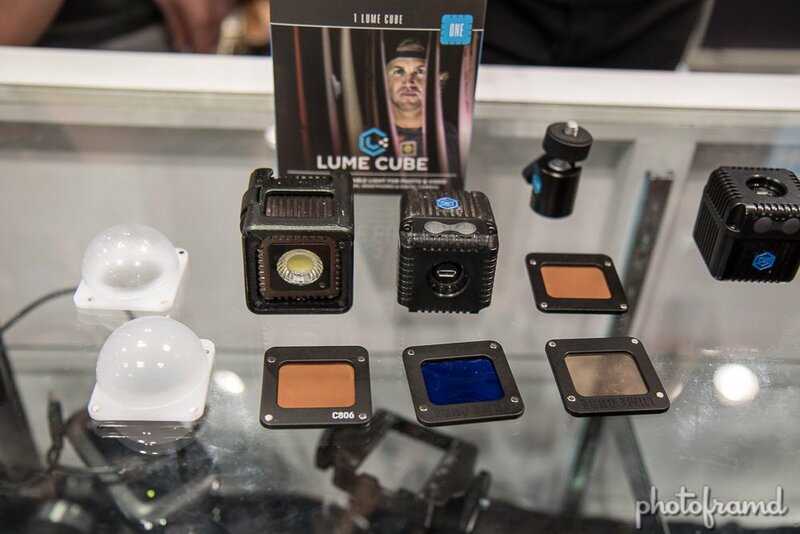 Lume Cube’s Housing and Snap-on Filters – Lume Cube packs a lot of power in a small space. It can be too intense and usually needs to be dimmed … until now. Lume Cube has introduced a Light-House which allows magnetic snap-on filters. It comes with 3 diffusers, but they also offer domes of varying intensity and two honey-combs. And, the Lume Cube is now available in a limited edition silver! Nailpoint Art – Do you remember those nail art paintings from the 70s? Well, they are back. 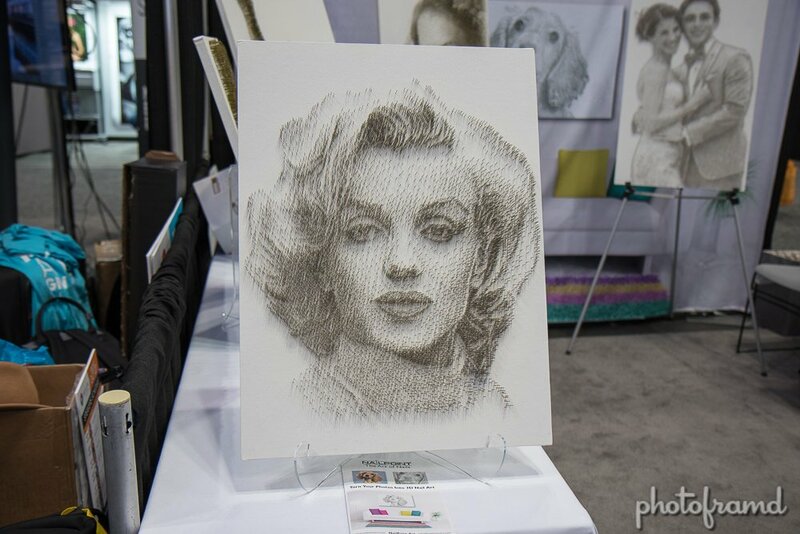 Nailpoint Art will turn any photo into a modern work of art. It ‘s pretty cool and they claim a one week turn-around. It’s a very unique gift. 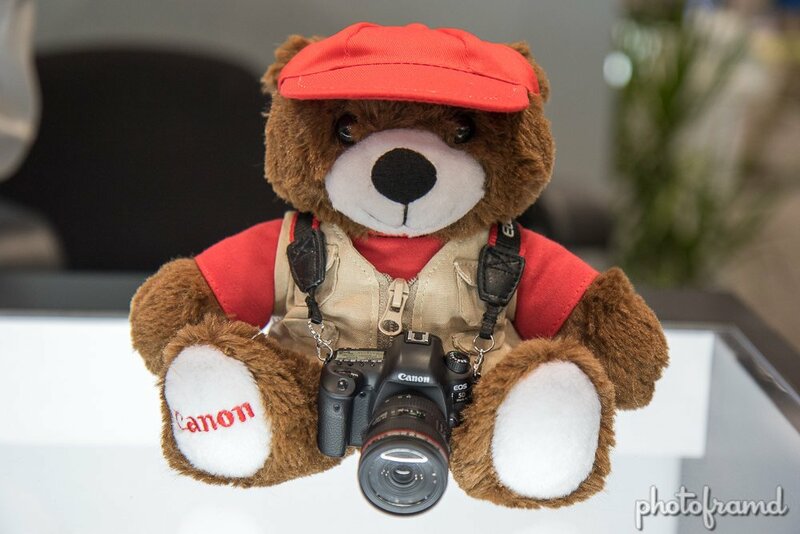 Canon Merchandise – I just had to buy this! !